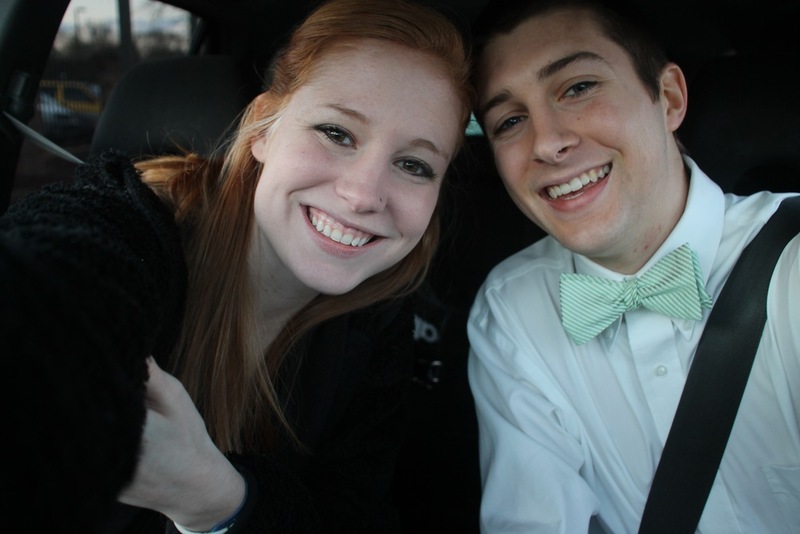 Meet Morgan and Caleb Thornley! They currently live in Buford, GA with their sweet pup, Winston. Caleb is a youth and music director at Restoration Presbyterian Church, and Morgan is a first year graduate student at Richmont University studying clinical mental health counseling. What a pair! Morgan and Caleb have been married for a blissful ten months. Give it up for the newlyweds! When I asked Caleb to describe Morgan in three words, without missing a beat, Caleb replied, sassy, intentional, thoughtful, and Morgan described Caleb as gracious, Type A, and goofy. On a typical Saturday you can find the Thornley's taking their golden doodle on an adventure, watching Friday Night Lights, and then going on a date night or hanging out with friends. Morgan: Well, for starters, I am pretty hard to surprise. The day was our five year anniversary, so I had an idea that it might happen that day. We started out by going to the Sundial in Atlanta, and I knew he wouldn’t do it there because that it isn’t really our style; however, it was so great because neither of us had experienced it. After, we headed for dessert at a French bakery and then Caleb started driving down I-85S and I really had no idea where we were going. But, then it became apparent to me that we were heading to our home town, Peach Tree City. Caleb at this point was being really awkward and wasn’t speaking. So, I took a nap on the way in the car! He then took me through this park that had a lot of meaning to us and thought for sure it was going to happen here. Caleb stops and tells me I have food in my teeth and I am so confused. He took me to his house, but only turns around (which I now know is because he was stalling), so now I was sure it wasn’t happening. He then took me to our home church, which is where we began dating and had our first kiss. Caleb walked me to this floral arbour he had made me and proposed! After, we walked in to our church’s community center where all their family and friends were and there was a party awaiting us! What advice would you give to someone who just got engaged? Morgan: Your season of engagement has the potential to be really hard. It’s the closest to marriage you both have ever been to; it’s within your reach. On top of that it’s filled with planning, organizing, and budgeting. This has the potential to be overwhelming, but engagement only happens once, and it’s a short season, so embrace it and make the most of it. It’s so important to be present. Be intentional and have fun! Caleb: Pursue each other! And get on your guest list. What is one of the best memories from your wedding day? Morgan: The first look, definitely. Caleb: The whole thing, but definitely the first look. What is one of your funniest memories from your wedding day? For sure, the older folks from our church learning how to do the whip. What does your spouse do to make you feel most loved? Caleb: Physical touch, especially scratching my back. Words of affirmation that make me feel like a good husband and I am taking care of her, words that make me feel so respected by her. Morgan: When I feel like the things that Caleb are doing for me are thoughtful. Taking the time to think a little harder about how I’d be most loved. For instance, when he writes me little notes and the thoughtfulness that he goes through thinking of me in the little things. I loved hearing more deeply about Morgan and Caleb's marriage, especially since I was lucky enough to be in their wedding! What a blessing these two are! Stay up to date with more couples and ourselves through our instagram, @laurelavenue!